‘Tis the season for funny bobble hats, warm scarves and snug ear muffs! 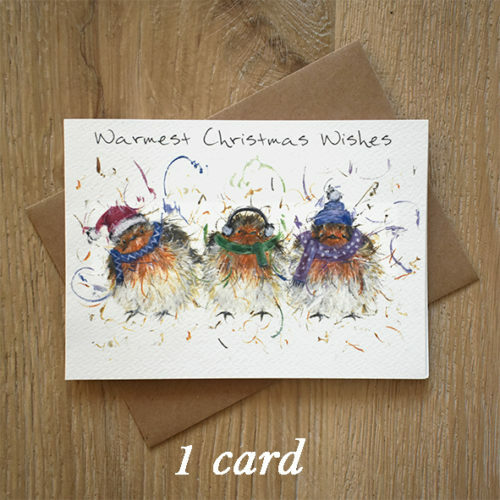 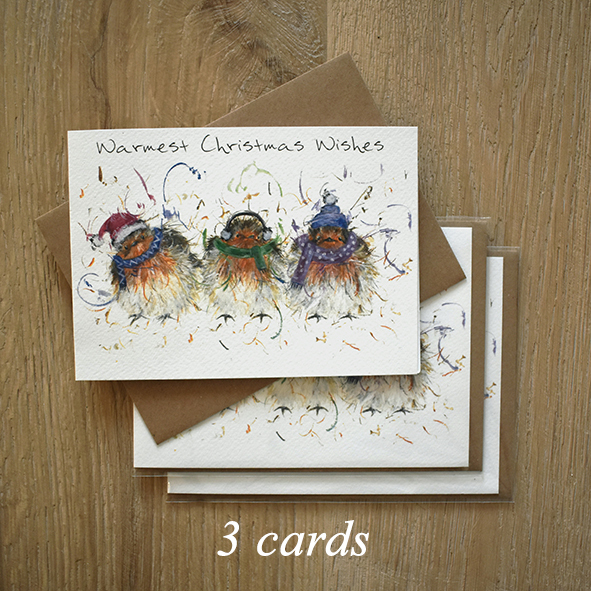 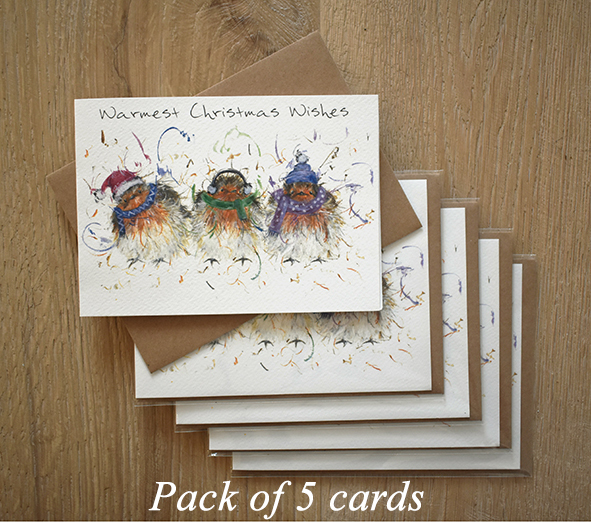 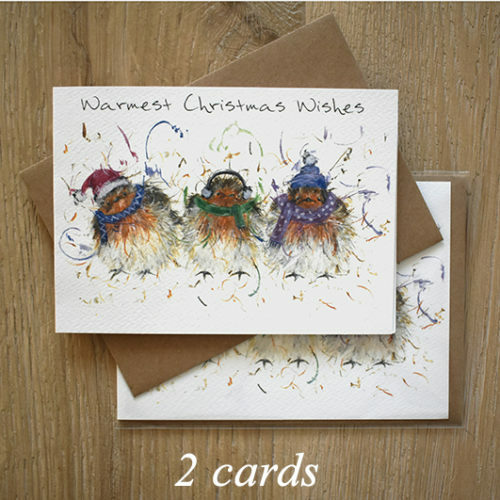 – The text on the front reads “Warmest Christmas Wishes”. Card is blank inside.